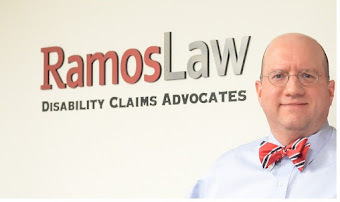 Many potential disability applicants call a Social Security Law Firm to find out if they have enough work credits to be eligible for SSDI benefits. However, since Social Security Lawyers do not have access to your Social Security work history prior to assuming legal representation on your case, a lawyer in not the right person to call to find out this information. Instead, the best way to find out this information is by contacting the Social Security Administration. The amount of work credits a person needs to be eligible for Social Security Disability is proportionate to the person’s age. For example, a person who is 50 would need 28 work credits, and a person who is 62 or older would need 40 work credits. In general, younger applicants are expected to have less work experience. Therefore, more credits are required as person gets older. A person earns work credits from earning an income subject to the FICA tax. FICA is a payroll tax that all workers must pay. Under-the-table income does not count towards earning work credits. For each $1,300 a person makes, they receive one work credit, and a person can earn up to four work credits per year. Social Security information is confidential, and lawyers do not have access to information about a person’s work credits. For this reason, it is important to get your Social Security statement on your own before contacting a lawyer. If you do not have enough Social Security work credits to be eligible for SSDI, you can still apply for Supplemental Security Income, or “SSI”. SSI, unlike SSDI, is based off of demonstrated financial need. If you are unsure about whether or not you can receive SSI or SSDI, please call our office to discuss your best options.